So usually, in Indian weddings, the to-be-bride gets her to-be-husband’s name written in her mehndi, which is a pre-wedding ritual. The name is hidden to some extent to turn it into a game. The groom is supposed to find his name and it sure is tough, considering how intricate those henna designs can be! This Indian bride from Chennai, Dipti Mangottil, took this ritual to the next level by writing two words that were certainly not her to-be-husband’s name! She wrote “memes” on her wrist and “bacon” on her arm. 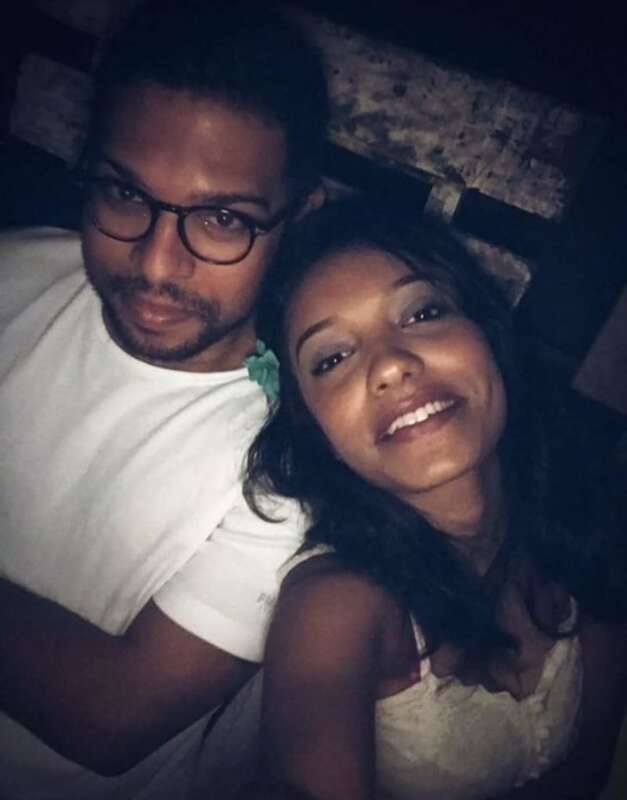 Did her fiancé, Praveen Balachander, take offense to this? “Praveen was over the moon and giggling away to glory when he saw what I did for him. A few friends saw it on my Insta story and were blown away and super amused, and it suddenly my wedding went viral. It’s crazy how such a simple idea struck a chord with so many people!”, Dipti shared with the Metro. The reason why she asked the henna artist to put these specific words on her hands is actually a very cute one. The couple used to get tagged on the same memes regularly by a common friend and that was the start of an amazing love story. Dipti and Praveen connected with each other from there and everything kept falling into place. 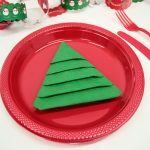 They realized that they have much more in common than they thought, including never-ending love for two of their favourite things – memes and bacon. Their relationship climbed up levels and soon, wedding bells were ringing! 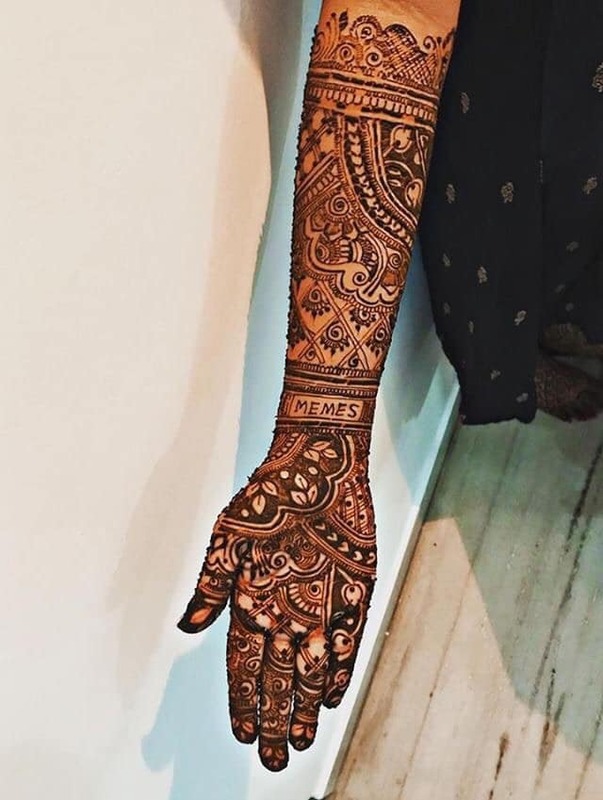 “As tradition goes, the bride is supposed to get her husband’s name written on her hands in henna. But I wanted something special which could be mine and Praveen’s secret. So I asked the henna artist to put memes and bacon (the two things that are essential in our relationship)”, Dipti revealed. 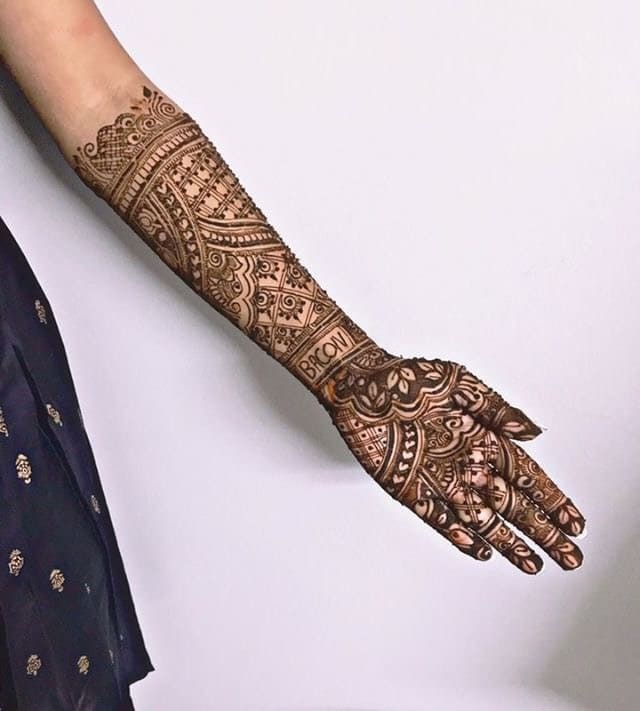 She had memes and bacon to thank for her unison with Praveen and as a gesture of her gratefulness she decided to put the words onto her hands on her Mehendi! How sweet is this! “When baby boomers ask us how we met, we say ‘memes! '” Mangottil told BuzzFeed. “Couples romance over strawberries, chocolate, champagne and stuff. We just fry bacon”, she added. Well, we wish the very best to the happy couple. Many congratulations! May you have a ‘memes and bacon ever after’!